What is the best science fiction series from 2000 onward? A bit of a late start here on April's poll, so the write in portion might have to be a little bit truncated. 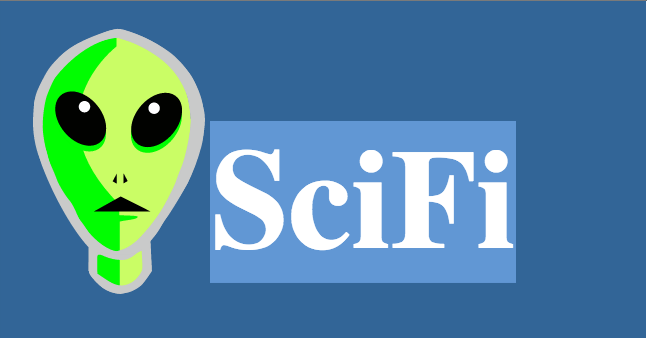 This is the follow up to our March poll, so this time we need nominations for modern science fiction series. And because there was some confusion before since we did some book-to-movie polls at the beginning of the year, this is about BOOK series--not TV or movies. 1) You may nominate any two series. It ought to only be one (your favorite) but I find this makes book lovers get awfully uncomfortable. 2) You may second (or third or fourth etc...) as many series as you want. In fact you should do that or they may not make the poll. Check back and see what others have nominated so you can give them secondings and they will make the poll. We haven't had a book go on to the poll that didn't at least get one second in months, so please check back and give a shout out to the nominations of others that you think are worthy. *Since we allowed Dune in the 70's/80's/90's poll, by excluding the volumes written by F.H. 's son, it won't be allowed in this poll. As usual, I'm not going to be an enforcer on "what is science fiction" or "what constitutes a series." I find that alienates people more than encouraging them to participate. Use your best judgement. As long as you're not saying Xanth is Science Fiction or that a short story is a series, I'll take your nomination. All I will do is check the publication date on the last book of the series. Don't forget to come back here and second series you want to see make it onto the poll. Also it is best to nominate HERE....on this thread. If you nominate a series as a reply to the G+ or FB post it probably won't get noticed and you won't get seconds. I probably won't break future polls up by time. That seems to discourage participation. I'm only about four books into this, but I can already give you the second. Let's see... Pendragon by D.J. MacHale. I know onbody else has read this, and it has no chance of winning, but it is really good and maybe someone will be wise enough to follow my excellent taste and give it a try. Also a podcast, Prometheus Radio Theatre, with full cast episodes as well as other good stories. I'll save Stross' Laundry series for comtemporary fantasy. Old Man's War series by John Scalzi. That's all I've got ;( most of my 21st century reading has been fantasy. - Triffids: Simon Clarke published the sequel to John Wyndham's famous book called "Tbe night of the triffids" in 2001. So this is a two-author series spanning 50 years. I second the Ender series. This poll covers a serious weak spot in my reading. I guess The Hunger Games counts as post-2000 sci-fi. Callahans by Spider Robinson - most of it was pre-2000, but the last two have been after. If Pratchett counts as Sci Fi then Discworld. I'll second this, though I always thought of Discworld as more fantasy than sci-fi. But Maybe Pratchett can be in here for The Long Earth? I tend to err on the side of inclusion rather than persnickety. How about the Silo series by Hugh Howey (Wool, Shift, Dust)? Honor Harrington? Are you serious? That series is nothing but glorified hero(ien??) worship filled with more "angular" features and pointless facial descriptions than anything note worthy. not to mention the absurd amount of religious undertones that make a mockery for the "Science" in science fiction. That series should be taken out to the woodshed, shot, and dropped into the septic tank of useless books. Just my opinion.